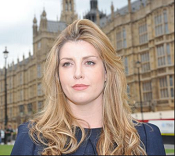 The Department for Communities and Local Government (DCLG) has confirmed that Penny Mordaunt MP has succeeded Brandon Lewis as the new fire minister. In one of her first acts in the role, the new minister has confirmed that firefighters will be exempt from proposals to increase the minimum age at which a person can access their pension from 55 to 57, in recognition of the “unique nature of the job firefighters do”. Responding to the decision and Mordant’s appointment, FBU general secretary Matt Wrack said: “We would like to congratulate Penny on her appointment and hope we can work constructively with her to resolve ongoing disputes. “We are in the middle of a long running dispute over proposed pension changes so the decision to exempt firefighters from such provision is very welcome. It was this issue which caused considerable difficulty during our negotiations with DCLG on and after March 19. She made headlines earlier this year by appearing on the ITV reality television show Splash!, where she joined a list of ‘celebrities’ to learn how to dive into a swimming pool. She donated all of her fee to charity but drew criticism from some quarters for agreeing to take part in the show. Before that she was a former head of youth and head of broadcasting for the party and was a member of the Public Bill Committee for the Defence Reform Act 2014. She was also head of foreign press for George W Bush’s 2000 election campaign, and worked for the President during his re-election campaign in 2004.